Every year in the run up to Christmas there is ALWAYS some shimmer and shine on the high street. Even though I have nowhere to go...(Sigh), I do like what I see. It's an item that pops up every year and eventually becomes an essential in your wardrobe. 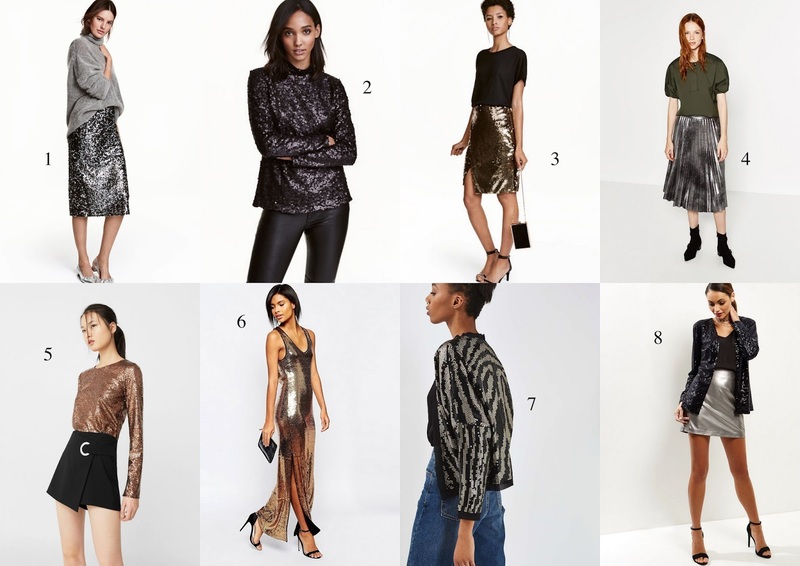 Below are some ways to dress down sequins or metallic to make it more wearable. The easiest way is to team them up with trainers and t-shirt. Pair it up with denim too to mix the combination of dressy and casual. Try also adding a chunky knit jumper or sweatshirt over a skirt. 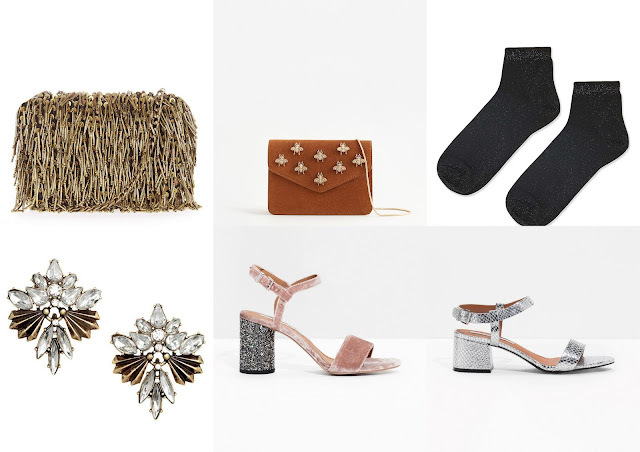 Saying all this, I still don't have the courage to wear sequins during the day, but I think theses street stylers show us the perfect ways to dress them down. 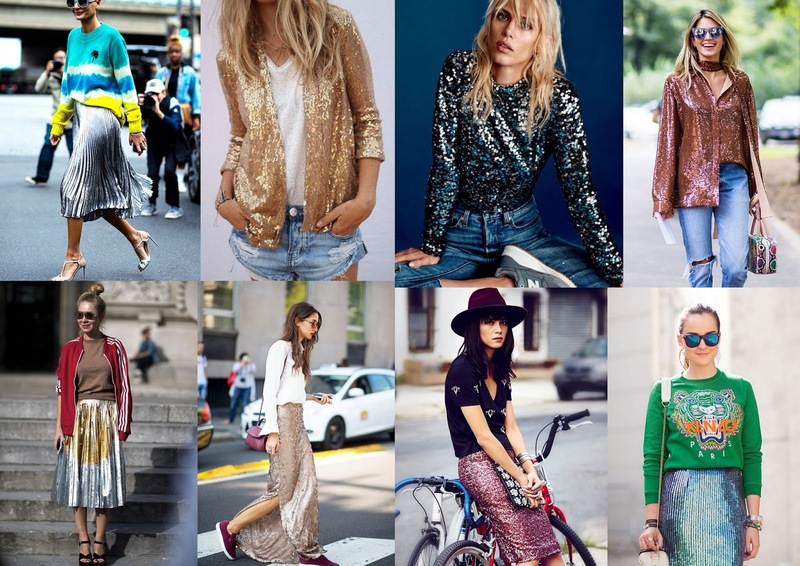 If you're not into sequins and glitter clothing, below are a few subtle ways to show some shimmer. Alternatively, try velvet or lace for the party season.